Rev. Samuel C. Tolbert, Jr., MDiv. 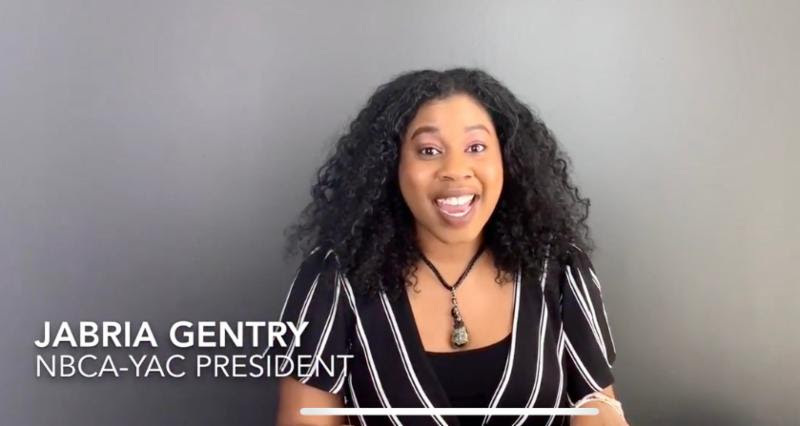 Please click on the picture above or the link below to watch the Angela Project 40 Days of Prayer video. 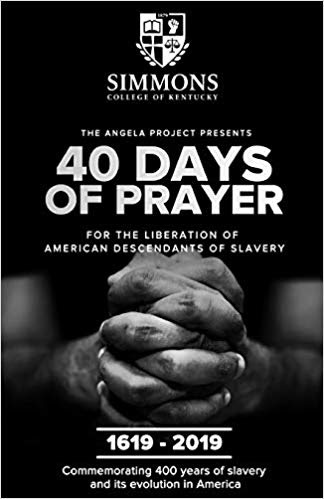 40 Days of Prayer for the Liberation of American Descendants of Slavery. 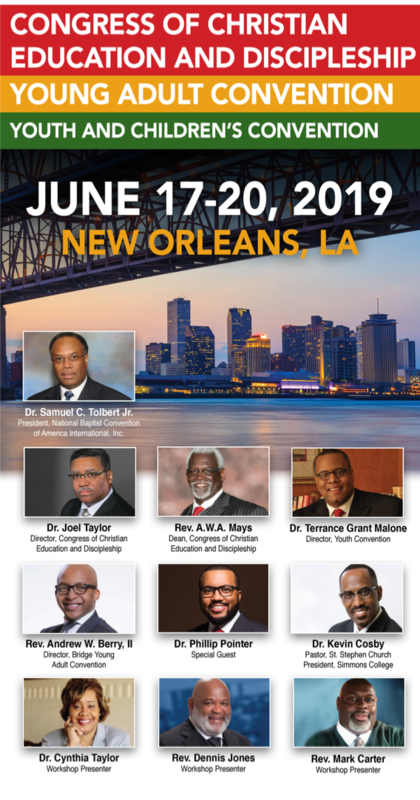 From July 12 – August 20, 2019, join Christians from around the world as we observe the 400th anniversary of enslavement in America. For this 400th anniversary, there are 2 books written to help you reflect on where we have been and to project a new course for racial relations in America. The actual story of slaves escaping on the Underground Railroad. You will learn of each slave’s name, what they looked like and why they escaped. Facts surrounding slavery and continued black oppression in America. The “We are the Voice of 1″ Prayer Declaration. 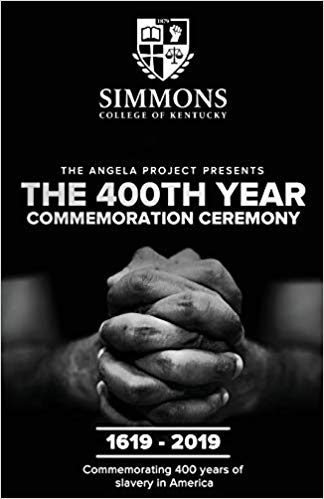 Book 2: 400th Year Commemoration Ceremony - On August 20th, at the culmination of the 40 days of prayer, the ceremony book will be used in services around the nation in commemoration of this 400th year anniversary of slavery in America. We are calling all Christians of all races and justice seekers to join us in this movement. Order your copies from Amazon today by clicking on the links below. Join us as we pause to remember their pain and project a new future. Throughout the 400 years since the first “20 and odd Negroes” were brought to the British colonies, American Descendants of Slavery have experienced a Black Holocaust: enslavement, black codes, sharecropping, Jim Crow, lynchings, convict leasing, redlin-ing, restrictive covenants, police brutality, subprime lending, mass incarceration, all of which have resulted in the ghettoization/impoverishment of black communities across America. Contained within each daily prayer and reflection page is an excerpt from the documentary, The Underground Rail Road: A Record, by William Still. Each excerpt is a direct quote from Mr. Still; therefore, any wording that does not align with standard or contemporary English is reflective of that time. The second reading on the daily prayer and reflection page is a collection of historical facts revealing the ongoing systemic oppression leveled against our black forebears who were first enslaved and that continued against American Descendants of Slavery. The third writing on each daily prayer and reflection page is the “We Are the Voice of One” Prayer Declaration, which is adapted from Isaiah 40. We ask that you speak this prayer declaration aloud each day, and then close with your personal prayer. Participants are encouraged to participate in the 40 Days of Prayer within circles of influence – with spiritual partners, church members, organization members, friends, and family members. During these 40 days, participants may want to join with others on a teleconference and read the daily reflections together. Be encouraged to join with those of other races or ethnicities. Everyone can pray aloud using the Prayer Declaration, with a designee closing the prayer time and paying homage to those formerly enslaved and their descendants. At the close of the 40 days, participants are invited to host a commemoration ceremony. The ceremony guide is available as a separate resource. Program litany for the ceremony concluding 40 Days of Prayer for the American Descendants of Slavery (ADOS). The ceremony engages blacks and whites of all ages to engage in forgiveness and reconciliation for the devastating and lingering effects of 400 years of enslavement in America. The program format includes litanies, readings, Scripture passages, and songs. The ceremony can be adapted for any American city or region. To make your hotel reservation online, please click on the link below. Please call 855-214-9288 and mention our discounted code which is NBCA. 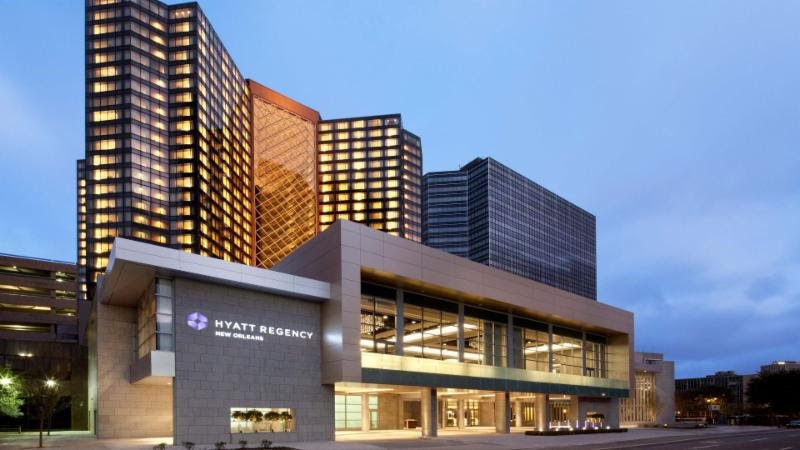 NEW: Church Group Reservations: For churches booking rooms for their group, please contact the following person at the Hyatt to make your group reservations. Deposit Policy: A deposit in the amount of one night’s room and tax for each of the confirmed rooms will be due from individuals attending the meeting 14 days after room is confirmed by the hotel, but no later than the cut-off date. Personal checks, money order, American Express Diners Club, Discover Card, Visa or MasterCard number and expiration date will be needed for the deposit. Pre-Registration is now open. 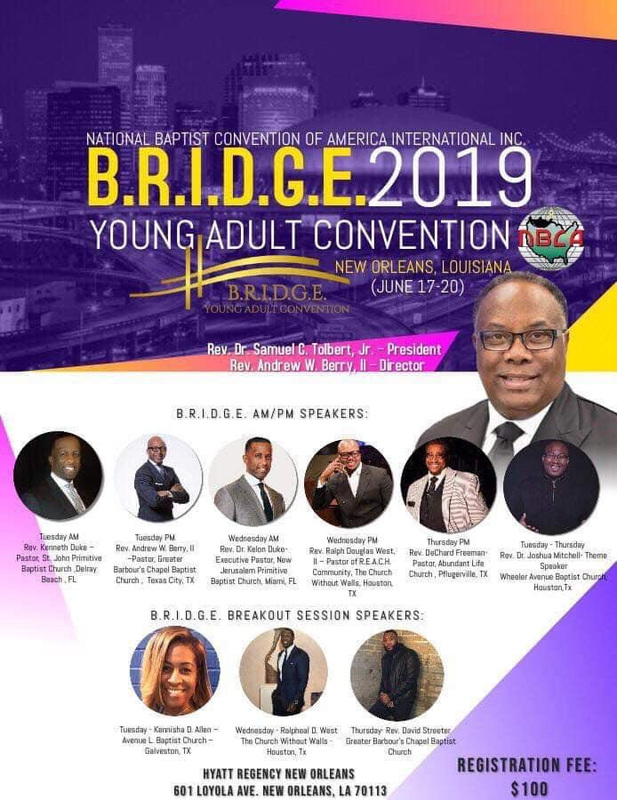 To pre-register online for the Parent Body, Young Adult Convention and Youth & Children’s Convention, please click on the link below. To mail in your pre-registration, please click on the link below to download the form and mail to the Office of the Treasurer. 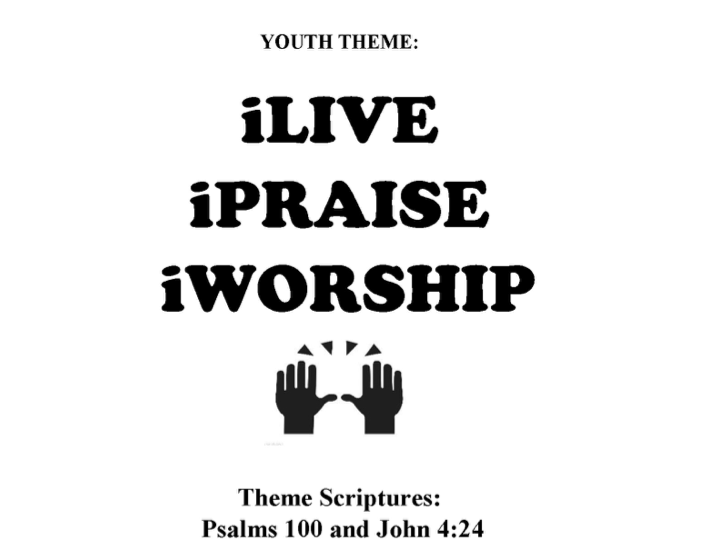 YAC Registration Packet and Bible Activities Packet is now available. Please carefully read the following information before downloading the packets. NBCA YAC T-shirt orders can be placed early to ensure sizes are available. A new Bible Activity has been added – Oratorical Bible Activity for High School Seniors. Winner(s) of this new activity will receive a monetary reward. The Praise Dance Ministry has added a new component. Two individual churches’ Praise Dance Ministries will be chosen to dance (1 on Tuesday and the other on Wednesday night). Churches are asked to submit a 4 to 5 minute dance video to mcarter472@gmail.com. Introduced last year, “Throwback” Thursday T-shirt day will continue this year. Bring your YAC t-shirt from previous years to wear on June 20th. Late Night Worship will be held Tuesday – Thursday, immediately following the evening session. Speakers to be announced soon. If you would like to be a vendor during the Congress 2019 meeting, please click on the link below. Please click on the image above or the link below to play the YAC video commercial. Historically Black Colleges and Universities (HBCU’s) are a great source of accomplishment and pride for the African American community, as well as the entire nation. These institutions provide students with an educational opportunity to learn, in a cultural and professional environment, so they are equipped to become productive citizens who can make a positive impact in the world. Unfortunately, over the years financial support for HBCU’s has dwindled, while the need for educating and equipping African Americans have increased. NBCA’s mission states that we shall seek to positively impact and influence the spiritual, educational, social, and economic conditions of all humankind. In keeping with our mission, we are excited to announce our 2nd Annual HBCU Fundraising Campaign! 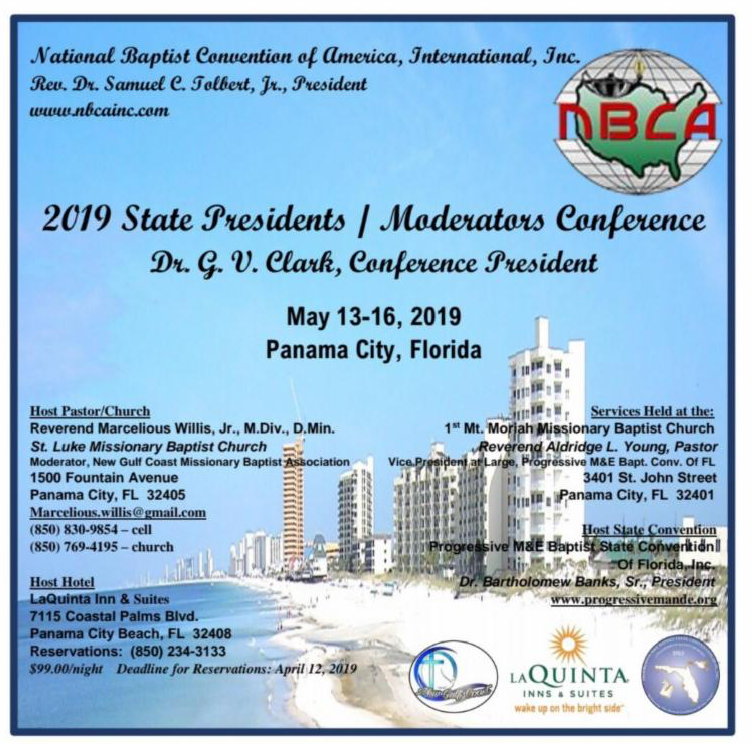 These particular schools have been selected because for years, NBCA has held seats on the Boards of Florida Memorial University and Morehouse School of Religion. We now also hold Board seats at Simmons College of Kentucky. These HBCU’s are dedicated to education and we ask that you join us in helping to financially bless them, so they can continue to bless our children with the needed education and experiences that HBCU’s provide. Thank you in advance for your support! Campaign will run from December 1, 2018 – April 15, 2019. This 4-month campaign is designed to raise $200,000, in which 75% of these proceeds will go to our college, Simmons College of Kentucky, and the remaining will be divided between Florida Memorial University and Morehouse School of Religion. Our goal is to get 400 individuals, churches, associations, state conventions and/or businesses to give at least $500.00 to this worthy cause. Option 1: You may mail your checks to the College & Seminary Board at the address below. Option 2: You can make an online payment through Givelify by following the steps below. Please mark NBCA as a favorite to make giving easier next time. At the end of each campaign month, we will provide a list of contributors on our website. Please Help Support Our HBCU’s! The Senior Women’s Missionary Union has released their Fall 2018 newsletter. To download a copy of the newsletter, please click on the link below.